Steam cleaners are a powerful tool, working like a vacuum cleaner but incorporating a steam and cleaning-solution element that lifts stains and residue your vacuum alone cannot. The steam-cleaning solution that goes into these units can be costly, and often when you have a cleaning job to complete, you do not have the solution on hand. Instead, use laundry detergent. 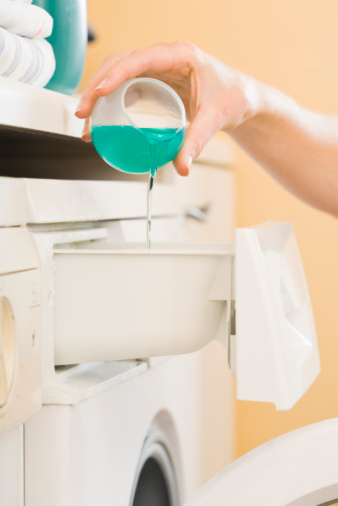 Laundry detergent is designed to clean fabrics and works perfectly with a steam cleaner. Use laundry detergent with your steam cleaner. Fill the steam cleaner with water until you reach the fill line. Use a gallon jug, quart jar or another container that allows you to keep track of how much water you pour into the unit. Add 1 tsp. laundry detergent to the steam cleaner per quart of water added. 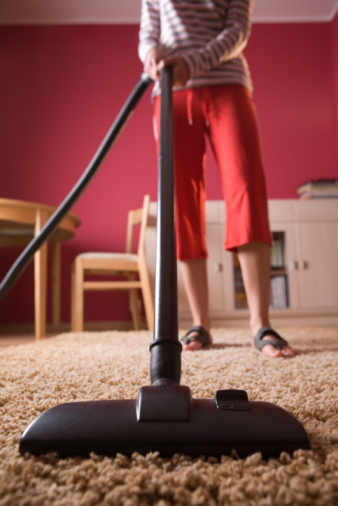 Turn on your steam cleaner, allow it to heat up for a few minutes, and clean your carpet or upholstery as you normally would. Watch the water reservoir as you clean and refill the steam cleaner with fresh water and laundry detergent as needed.